Certain styles of music seem to thrive on their lithe spontaneity, hinting at a recording process that springs enthusiastically and fully formed from the particular musicians creative core. Yet, as is often the case, it is these very records that are the hardest to achieve - with the outwardly simple requiring the most diligent and regimented songwriting skills so as to prevent memorable melodies and infectious instrumentation becoming swamped in production. 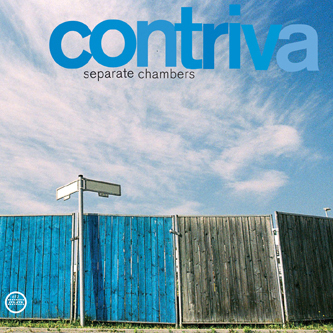 Contriva's new album 'Separate Chambers' for Morr Music passes this test with flying colours... 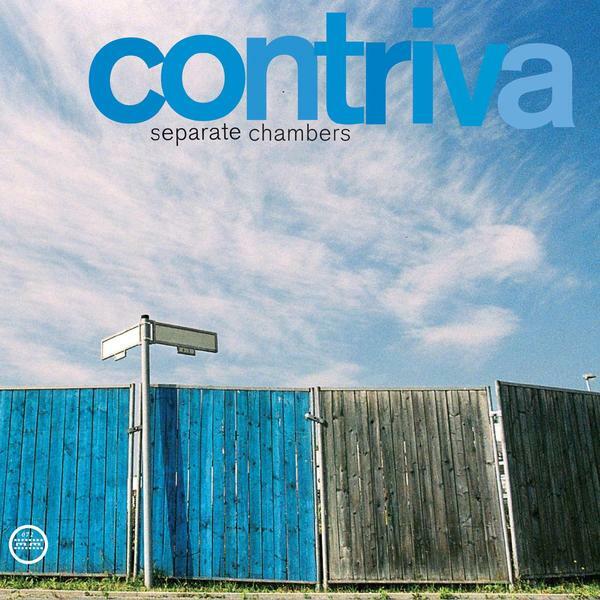 Comprising the accumalitive skills of Masha Qrella, Max Punktezahl, Rike Schuberty and Hannes Lehmann, Contriva certainly has a glowing heritage to build upon - with their scented breed of addictive indiepop utterly at home amongst the Morr Music cabal. Opening with a thaw of acoustic guitar, the album's introductory piece 'Good To Know' establishes a definite melancholic streak - as the delicate melody is submerged an ivy creep of ticking percussion that peaks without any need for needless crescendos. Moving on from here Contriva immediately puncture the introspective stance pf 'Good To Know' with the thrumming clatter of 'Unhelpful' - wherein a shimmering guitar melody is buffeted by a spiraling fusion of drums, chiming chords and squalled EFX to produce a sound that is perched somewhere between shoegaze, post-rock and all out indie goodness. Just as you're coming to the assumption that Contriva have shunned the overt use of vocals, 'Before' arrives with some supine lexicon from Qrella - bringing with it a distant and icy charm that juxtaposes perfectly with the spiked indie compositions beneath. To say it's a whole lung-full of fresh air is an understatement... Elsewhere, 'Say Cheese' is a soft-centered flush that sounds not unlike a lost Broadcast track, 'Centipede' is a leggy gem brimming with indiepop sensibilities, whilst 'Number Me' rattles along with its Smiths badge displayed with pride. Closing on the 21st Century torch song of 'I Can Wait', Contriva have produced an album that never underestimates the power of pop - but laces it throughout with lush instrumentation, melancholy atmospherics and a smattering of evocative vocals. Magic.